rating: 4.5/5 [in the genre] or 7.5/10 [all books I’ve ever read]. recommended for: Fans of Code Name Verity by Elizabeth Wein, A Northern Light by Jennifer Donnelly, or other historical novels with wicked girl power. will i continue the series? 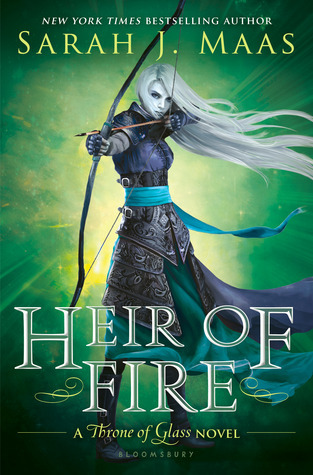 : Write a sequel, please? After Winters' stunning debut, In the Shadow of Blackbirds, I was convinced that she was to be one of my new favorite authors. I wasn't wrong. The Cure for Dreaming benefits from the same vividly portrayed setting, rich with detail. This strong sense of authenticity allowed me to fully submerge myself in the turn-of-the-century world. The characters feel plucked from history, totally appropriate for their environment in demeanor and dialogue. Olivia herself was instantly fascinating, a beacon for female empowerment--but not a caricature. And Henri, charming Henri! From an initial brush with the supernatural, Winters concocts a tale that seamlessly combines the dilemma of Olivia's new powers with the struggles of the American suffragist. Woven in are elements of bumbling first romance, family dynamics, class warfare, and the fragility of the Victorian individual. At times witty, at times heartrending, always gorgeously written, this novel will be an easy favorite for fans of the historical and the supernatural alike. Particularly at this time in our history, it's also a fitting testament to the indomitable spirits of women and the importance of a free voice. I reveled in every minute of it (even though the ending made me pout). What seems to be a simple brush with hypnotism turns dangerous when Olivia's father, convinced of Henri's incredibly skill, decides to use it to stamp the rebellion from his suffragist daughter. Only with that curse, Henri gives Olivia a strange power. And here's where the plot becomes truly intriguing. Olivia must be bland and obedient, but she's also now capable of seeing people as they truly are. Beautiful but cruel women are now mouldering hags, anti-suffragist business are cages. Olivia begs Henri to cure her, but he desperately needs her father's money. This tension forces Olivia and Henri into a precarious partnership--at stake, the life of Henri's sister and Olivia's very future. It's exciting the whole way through, and as much about Olivia's discovery of her own voice as it is about her powers and the suffragist movement as a whole. Plus, there's a thread of romance that's sweet, not too overdone, and dealt with in a way that is, if not completely satisfying, perfectly realistic. The concept is intriguing and extraordinarily well executed. We know that the women's suffrage movement was highly contested. We know that Victorian women were limited in their rights, and outliers were shunned. We know that hypnotism and other supernatural pursuits were all the rage. So, what if hypnotism could cure all those pesky suffragists of their ideals? Olivia lives this hypothetical, and the consequences are dire. She can't object. She can't choose any part of her own life. She's essentially silenced by the one who should love her most. But there's no escaping her curse until she can convince Henri to break it. It's a devastating allegory for what can happen when certain people are silenced, their ideas attacked or unheard. Winters uses this premise to explore the hopelessness of the silenced, and the price of speaking out, without seeming preachy or heavy handed. I adore Olivia. Her voice is witty and smart. She's progressive without being a simple mouthpiece for modern values. Most of her values are very unmodern, which makes her perfectly realistic in her setting. She's also very dynamic, changing over the story from a girl whispering for recognition to a girl not afraid to shout. She's juxtaposed by Henri, who's dashingly enigmatic and an adorable mixture of charming and sheepish. I couldn't love their pairing more. I do wish we'd seen more of Henri's sister and Olivia's best friend. The former is a little hard to grasp and invest in, while the latter is underplayed like many a literary best friend. However, Olivia's father benefits from seeming opaque in the first part, because his transformation from flat to multifaceted parallels Olivia's understanding of him. As for the anti-suffragist richies, I did enjoy their Gossip Girl levels of snarkiness, but I wish that one or two were at least passive observers of their friends' cruelty. As is, the upper class is painted as uniformly negative, which is just unrealistic. Winters' style of writing is a huge contributor to my enjoyment of this book. It's concise and clear; there's no mincing of words, but she's also not afraid to linger where she needs to. She also manages a perfect marriage of accessible first person and Victorian formality. Olivia's voice is believably 1900s without the dense frills of that era's writing. There's also a magical quality to it that dovetails perfectly with her supernatural elements. Winters' also has the dialogue nailed down. It's fluid, seamless, like eavesdropping on a conversation between people who just happen to be born in the late 1800s. World is key in a historical work, and Winters has clearly done her homework. I'm a keen eye for anachronisms, and I couldn't spot a single one. Except for lacking the characteristic denseness of that period's writing, the novel could have been a product of 1900. Offhand references to period-specific clothes or old-fashioned sayings add richness to the world without excessive explanation. What I found a little bemusing was Dracula. The novel. Olivia's obsessed with it, and the novel comes up multiple times in the work. But I just didn't get it. I spent time searching for a deeper thematic meaning and coming up empty. I'd love to hear theories, if anyone has them. I just simply refuse to believe that Winters would mention such a specific title so many times without an agenda. 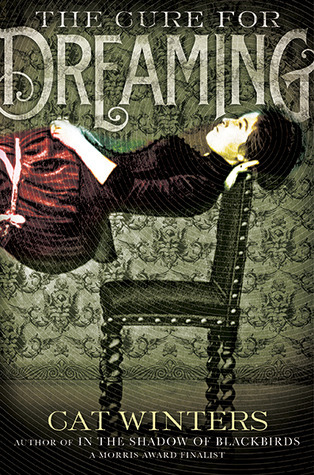 The Cure for Dreaming is a smart, atmospheric take on the struggles of women to gain a voice, with a backdrop of supernatural and intrigue that makes for an exciting read. I totally agree. When I see "Cat Winters" it's a must read for me now, after these two books. Love the atmosphere she creates. Can't help you with the Dracula reference... Great review. I would suggest Delia's Shadow and the sequel A Barricade in Hell by Moyer, if you haven't read them yet. Same. I TBR-ed this book immediately after reading Blackbirds, even though it didn't have a cover or blurb yet. Thanks for the compliment! Ooooh thank you! These sound amazing! I'd love to read more like this, it's just so hard to find them. Double points for having a serial killer.